Some might say Cay Lemon has a certain, ummm… zest for weddings. We had so much fun working with Cay to develop a playful logo and identity system for her event planning business Zest. Here are some of the fun pieces we created and some snaps from a few of Zest’s recent weddings. We really love what we do, but it makes it extra special when the groom is as involved in the design process as the bride. Julia and Jeff were such a fun duo to work with and so clearly bananas over each other – and Nantucket. From the proposal on the beach to their wedding day, the island is a special place for them both. 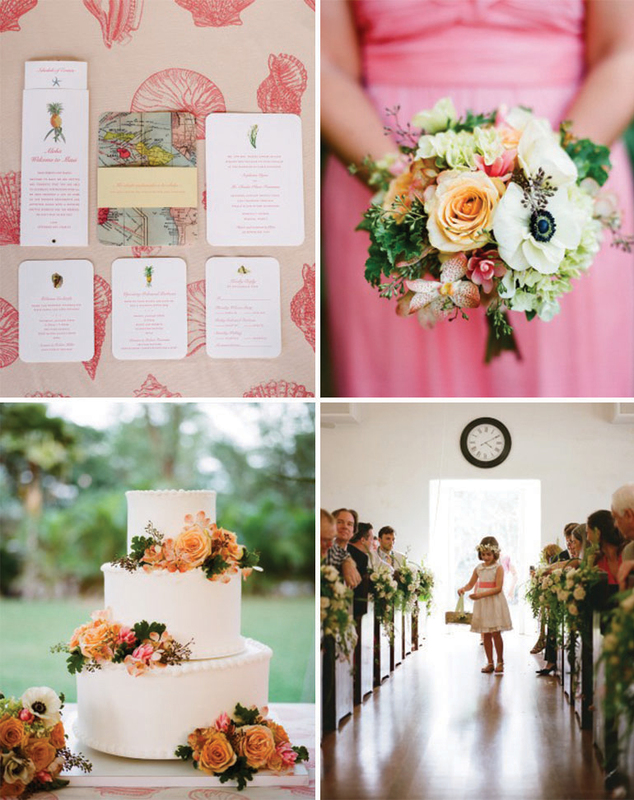 Take a peek at all the printed pieces from their wedding. A little slice of Nantucket! Photographer extraordinaire, Jose Villa, hosted a workshop recently in a romantic and historically rich Tuscan villa. 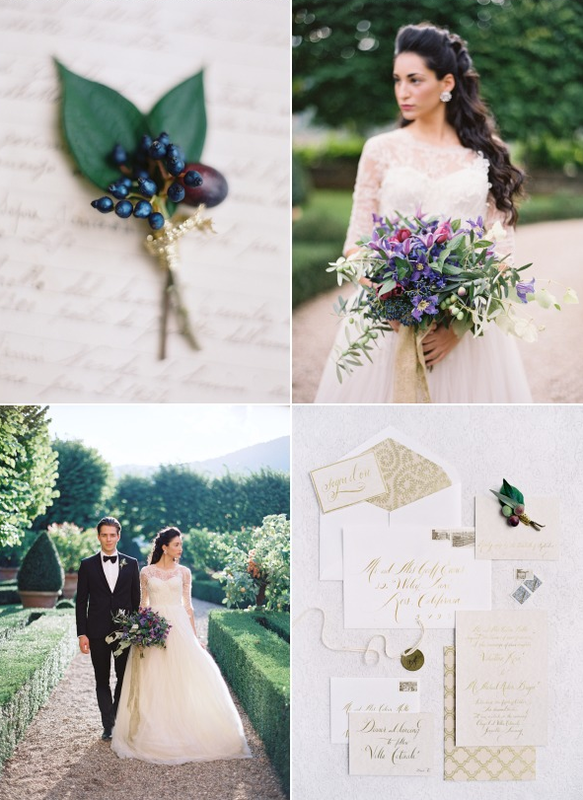 A Day in May was invited to design the invitation suite, thank you notes, menus, and day-of details for the faux formal wedding in the Italian countryside. See the gorgeous details featured this week on Style Me Pretty. We loved working with Katharine and Matty on their wedding. The neutral colors of white, gray and gold created the perfect palette for this black tie event in the city of San Francisco. Here’s a peek at their wonderfully elegant wedding. After nearly 13 years, and designing everyone else’s logo, we felt it was time that A Day in May updated it’s own look. We’ve had so much fun redesigning our logo, as well as our blog, into a more modern and fresh aesthetic (and we are currently working on updating our website, so stay tuned for the launch later this year). We hope you’ll stick around for the fun. Stephanie and Charles said “I do” last year in a lovely tropical setting on the island of Maui. See the fun details featured today on Martha Stewart Weddings. From the invitation to the ceremony to the cake, their special day was infused with the local colors, flavors, and traditions of the Hawaiian islands. 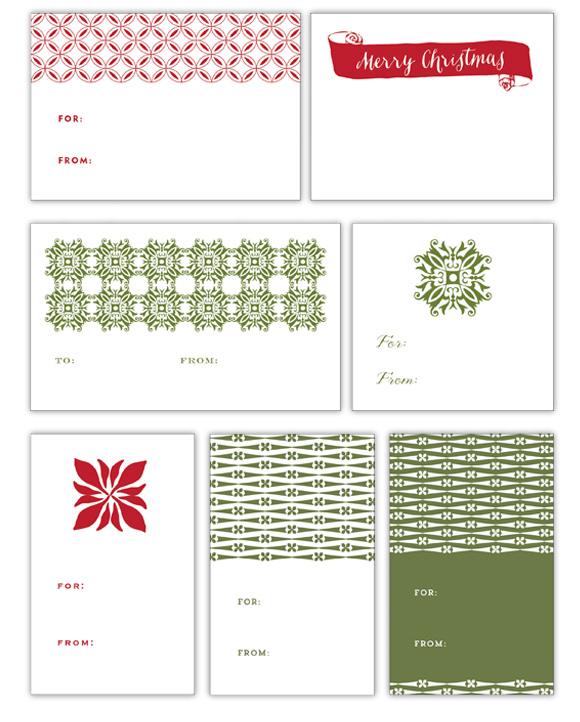 PRINTABLE GIFT TAGS… FOR YOU! We’re getting in the holiday spirit here at the studio and designed some gift tags for you to download and print right from home. They are the perfect accompaniment to any gift giving this month, and we hope you find them useful. Download now! Thanksgiving is long gone, which means it’s time for mistletoe and merriment. 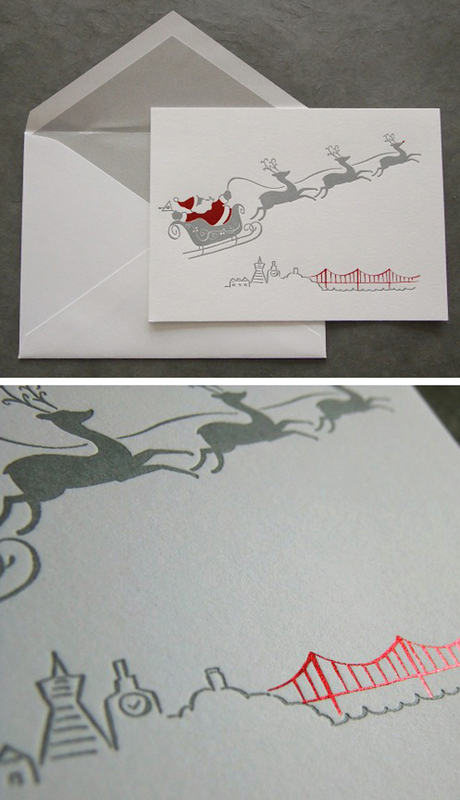 With the supremely talented Laurie Arons (www.lauriearons.com) we designed this festive invitation for a San Francisco holiday party. Ho ho ho. This is one of our favorite A Day in May promotional pieces, printed in 2011. Let’s always remind ourselves to give thanks. Halloween is all wrapped up which means…the holidays are quickly approaching! It’s time to think about your cards so we dug into our archives and grabbed a little sampling of different holiday designs from over the years. And with Autumn, comes an opportunity to show off our favorite color at A Day in May, orange! We’ve been so proud to work closely with Torrey Shawe on her new venture, Beastly Threads. In this post you’ll see her logo designed by A Day in May as well as her chic office space and inspiration boards. Torrey is bring to market sensational scarves which incorporate timeless, elegant design; luxurious, sustainable materials; and a promise that with each scarf sold, a significant portion of the profits will go to wildlife preservation efforts. So do yourself a favor and keep your eyes peeled for the upcoming Beastly Threads launch! Renewing your vows is a time to reflect on the past and celebrate the future. When one couple told us that they were going to do so in beautiful Mallorca, we thought what better way to announce the occasion than with this classic map – signifying both the spectacular locale and the road ahead as this couple looks forward to their future together. To highlight the simplistic loveliness of the island, we chose a navy palette and pale citrus imagery. We can’t wait to hear about all the exciting things that Alicia and Hosain have in store for their future together! High quality, creative designs + a solid business mindset = Artistic Designs for Living. Their mission is to provide home renovations that reflect your personality and aesthetic that you can rely on to be finished on time and on budget. Now Artistic Designs for Living has opened a new studio space which reflects their daring aesthetic and they asked us to recreate their brand! 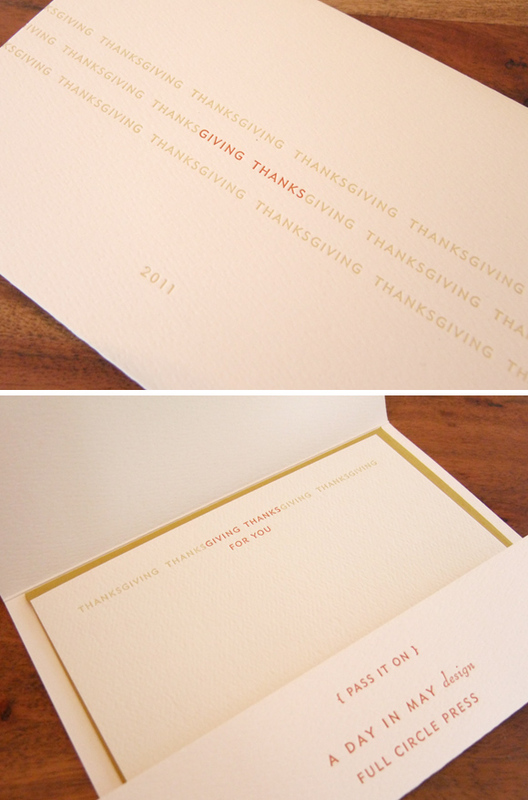 The end result was a modern brand full of rich details like this matte gold foil on deep white and black paper. 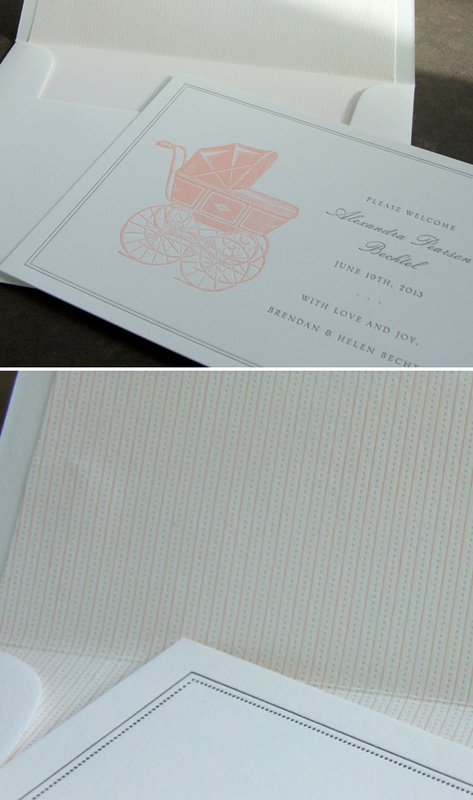 We loved working on this save the date and invitation. Michele and Jon adore their dog and he became a central figure (see him under the tree) in all the pieces! Save the Date for Cape Cod! 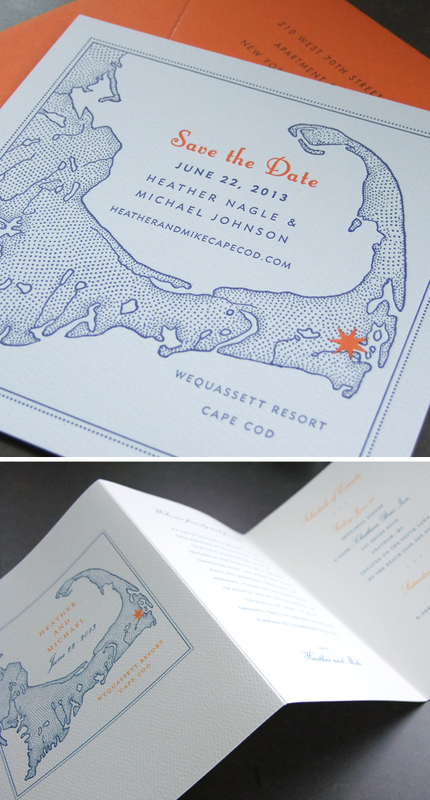 What could possibly say “summer” more than weddings, lobster, and Cape Cod? To help this New York couple capture the breezy fun of a Cape Code wedding planned by the fabulous Lauren and Kristen of Bellafare, we decided to incorporate a map into their save the dates. A bar mitzvah is the chance for a young boy to enter the world as a young man and show his true passions. So when we heard the young man we were designing invitations for loves all things Apple, we knew we had to incorporate that into the design. To create a modern twist, we had the invitations foil stamped in a shiny silver with blue metallic Helvetica typeface. And, of course, the spin off of the Apple logo using a silhouette of a young boy wearing a yarmulke to complete the look! One of our latest projects was to design a baby announcement that would stand the test of time. We used a gentle gray and peach ink and soft textured liner to deliver this wonderful news in a timeless, classic fashion. 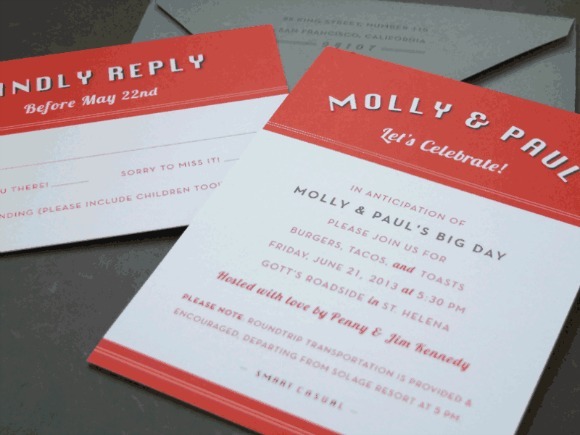 When having your rehearsal dinner at a famous burger joint, you have to make sure your invitations match the occasion! What could be more fun than this for a kickoff party to start a wedding weekend planned by Stacy McCain? 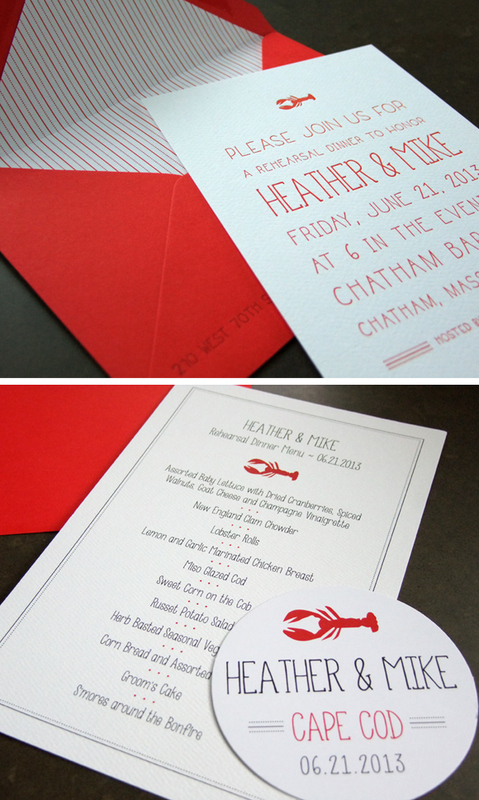 A wedding in Cape Cod calls for a delicious lobster dinner! We wanted to create a whimsical typeface mixed with these red and white stripes to capture the flavor of this wonderful wedding planned by Lauren and Kristin of Bellafare.